More than a third of Britons are concerned that the cost of foreign holidays could go up on the back of rising inflation and a weakened pound. Research from Mintel shows that 35% are worried about the impact which higher holiday costs could have. Inflation has climbed steadily over the course of 2017, while sterling has weakened against both the euro and the US dollar since the June Brexit vote of last year. Overall, Mintel said four in five people fear that price rises will impact goods and services in the near future. In particular, 59% said they have concerns about the rising costs associated with grocery products. The latest British Lifestyles report from the firm shows that as well as fearing higher holiday costs, some 26% of consumers are wary of rising clothing costs. One way Britons can potentially save money during their holidays is by investing in good-quality travel insurance. Policies can cover medical bills, lost luggage and transport delays - which could help people avoid damaging expenses while abroad. Elsewhere in its report, Mintel revealed that people are less concerned about the impact of Brexit on the economy. Some 31% now believe Brexit will have a negative impact on growth, compared to 39% back in July last year. A total of 48% of adults are worried about their ability to pay bills, while 37% are concerned about their debts. Jack Duckett, senior consumer lifestyles analyst at Mintel, said: "Mintel research underlines particular concern about the rising cost of in-home food, and inflation is undoubtedly going to squeeze household budgets. 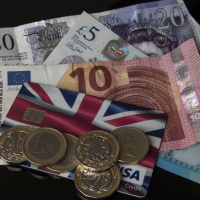 The group said consumer spending climbed at a rate of 3.7% last year, hitting £1.2 trillion overall.